What is the difference between activity and productivity? Results! they weren't getting the needed results. appointment, setting an appointment, having the meeting, doing a presentation and getting the close. You can also include asking for and getting referrals. 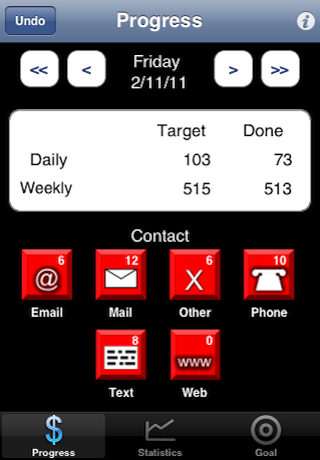 how many points you have accumulated for your actions and whether or not you have made your daily target. based on points per category and performance ratios. 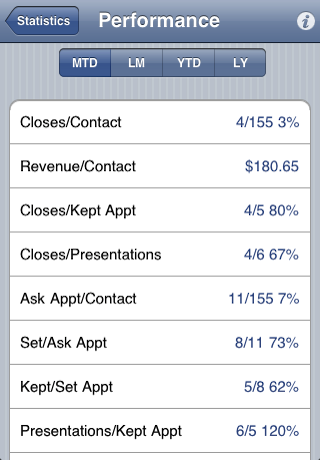 (These are numbers like appointments per contact. your daily progress. Just touch the button as you complete an action. for that day for that action. many times you ask for a referral and how many you get. Of course, SalesScore keeps track of your Presentations and Closes. 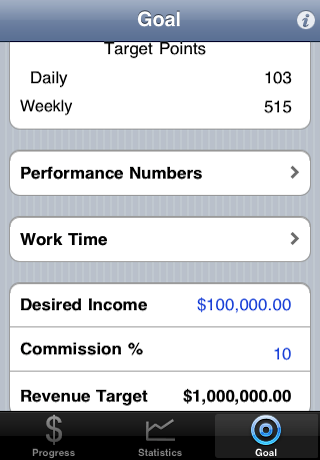 It also tracks the sales revenue for each close. Negative actions to fit your own scene. 12 weeks, 26 weeks and 52 weeks. how you are doing at converting contacts to closes. to recalculate your daily and weekly point targets. 1) Closes - All closes in a day with dollar value. 2) Targets by Category - Your target points broken down by category. 3) Weekly Breakdown - Total points for the week for each action. 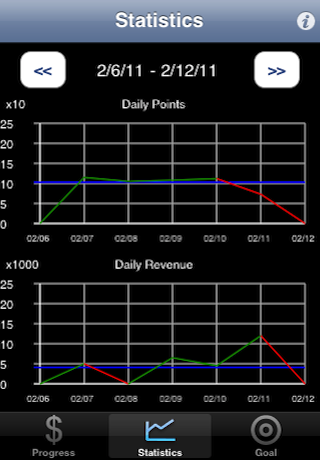 1) Weekly Graphs - Your total points and revenue weekly. 4) Weekly Breakdown - Total points for the week for each action. 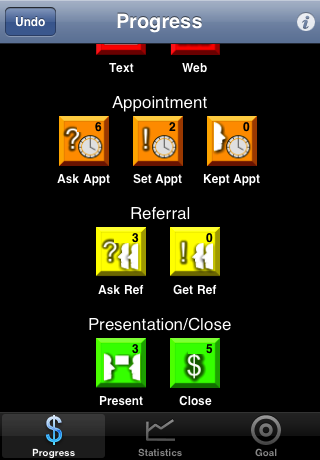 Contacts for Ask Appointments and Set Appointments for Ask Appointments. Appointment, Referral, Presentation, Close, Bonus or Negative. 4) Bonus Actions - Enter your own custom Bonus actions. 5) Negatives - Enter your own custom Negative actions. victory song for a close!